ADJUSTING FOR PLAY IN ADJUSTABLE WRENCH. forged or quenched, or hot pieces of glass. made in many shapes and sizes to handle a variety of jobs. determined by the overall length, which usually is 5 to 10 inches. 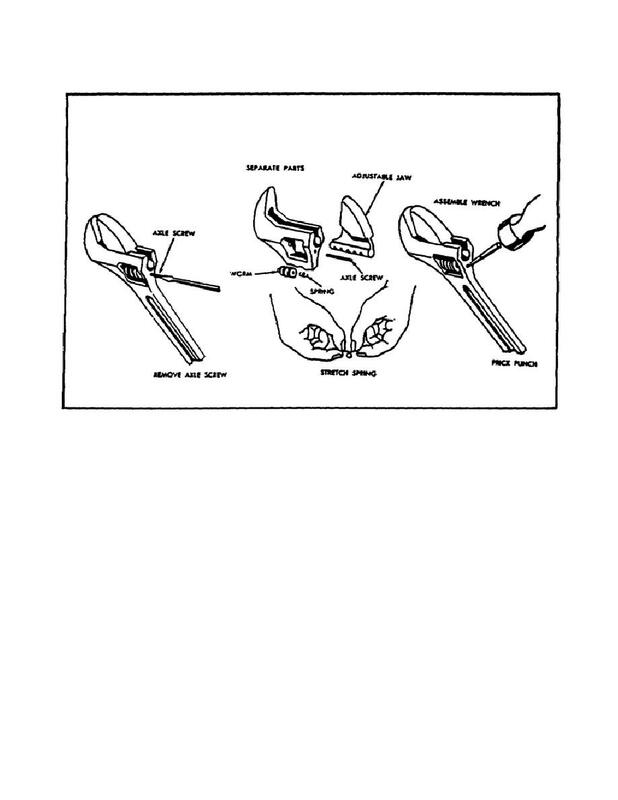 (1) Slip Joint Combination Pliers (figure 33 on the following page).